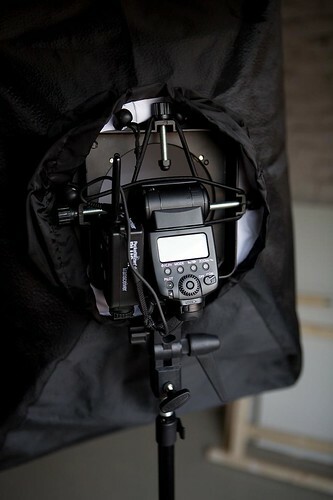 Recently Thomas asked me how I connect flashes to a softbox, while my solution is nothing as close to Pieter’s chimera solution it is a worthy alternative to get started. A while ago I bought 2 24″x36″ softboxes on ebay. 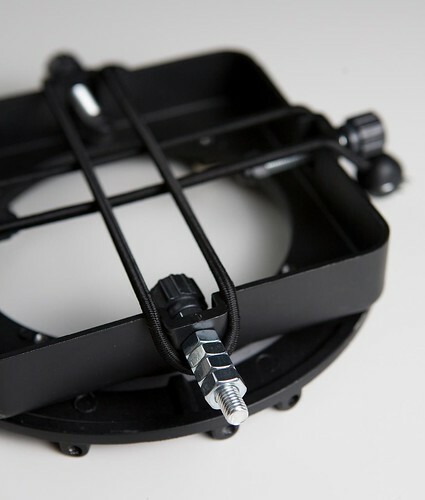 The package comes with a metal ring but without a solution to mount it on a lightstand and without a way to attach your hotshoe flashes. Time for a quick & cheap DIY hack. My solution: nuts, bolts & bungee balls. In any DIY store you can purchase a couple of long M8 bolts & suitable nuts. 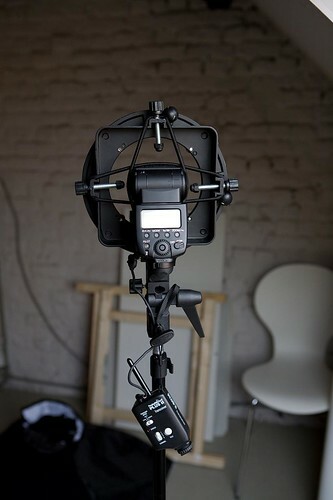 With that attached to the metal adapter you now have a way for mounting the softbox on a stand. Adding 2 more bungee balls and your flash head fits rights in as well. Bungee balls are a bit harder to obtain in Belgium but I did already find some in the bargain section at Gamma. Otherwise check ebay. I’ve added more notes on flickr if you click through on the images. Ah zo bedoelde je! Met wat foto’s is het al een stuk duidelijker 😀 Zeer goeie oplossing trouwens. Very DIY.